“Tags” are haphazard keywords attached to the content on this site. Using keywords to find content is not an infallible method when looking for something specific. If you need a more accurate list of content relating to an area of interest try doing a search.You can also try using the Subject Index which sorts the content into more ridged categories. 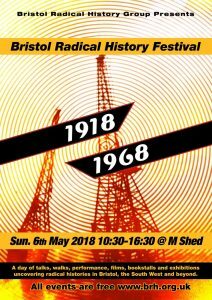 As part of her collection of historically-based narratives which provoke questions about society today, Heather Jane will present a story set in her homeland of Gloucestershire. 'The Dispossessed' is a tale weaving poaching, 18th century criminality, and dispossession of people from the land in Berkeley and the Forest of Dean; followed by historical facts and discussion pondering the modern-day fall out of enclosures. 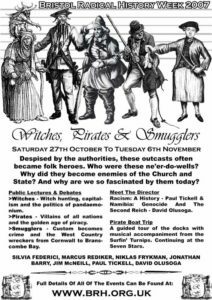 Join Jess Paul and Martin Maudsley for stories about smugglers and pirates. AAAARRR! Kids (and adults) are weclome to come in fancy dress. Please can adults accompany children as this is event is not a creche facility. The copyright of material on this website is retained by the originators of the material.